Bring a dish to share and make friends with Transition Oahu members over a potluck dinner. 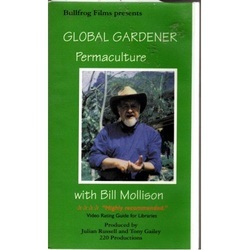 Have a visit with transition oriented folks and watch the classic, Permaculture in the Tropics, part of Bill Mollison's Global Gardener series. As relevant today as it was when it was produced in the early 90's, this film introduces the basic principles and shows us successes in the tropical climates of Australia, Zimbabwe and India.